Seems interesting to me. Still there is a lot of competition. I mean I've seen audio-oriented blockhains around there. Do I have to pay for participation/subscription? It is not very user-friendly I guess. Not for the beginners. The platform looks and feels cozy and amazing! I wish the best for the team and their endeavors! 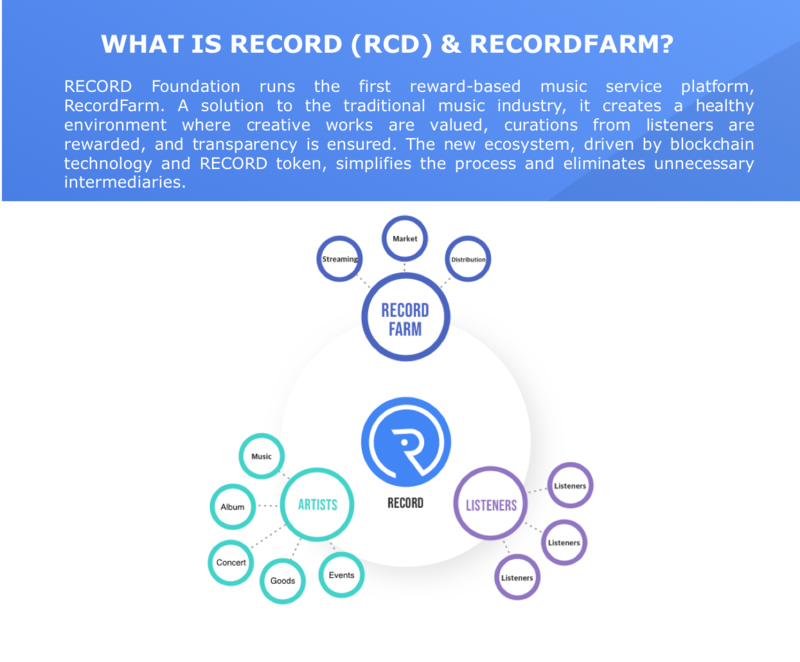 The RECORD Project is attempting to re-create the economics of the music business in favor of the artist. 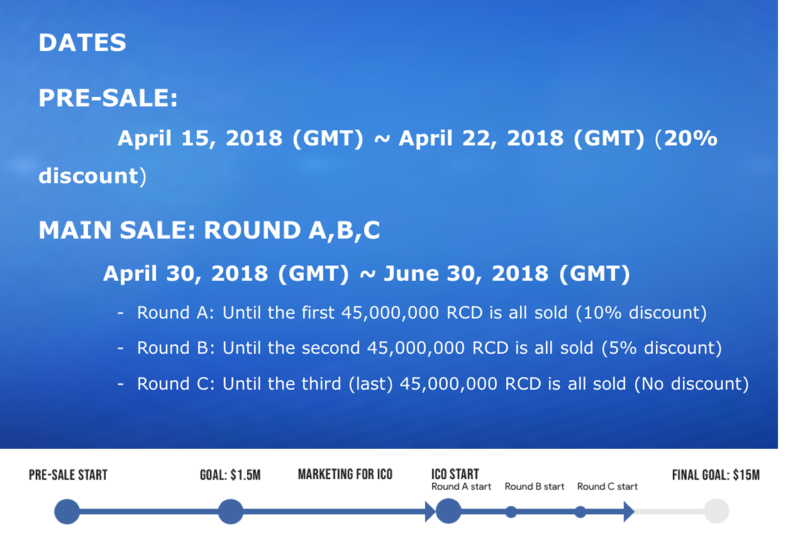 By using the blockchain and the RECORD (RCD) token to measure and reward an artist for the use of their work, RECORD Foundation can be one of the first companies to succeed in removing the 16th Century system whereby an artist gives up most rights to a publisher and instead becomes their own publisher. 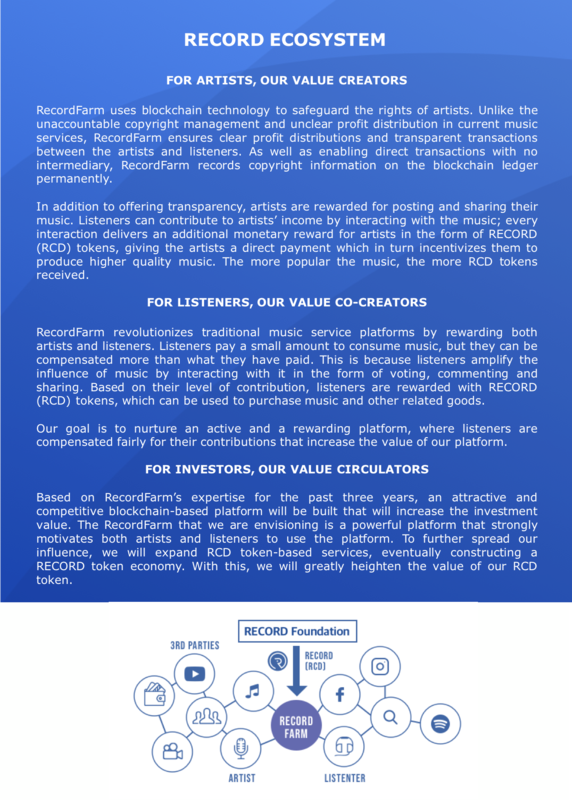 Artists will be able to track where their music is being played and calculate the amount of usage and get paid.